The Ripon based Theme Park has the exclusive rights to the mobile gaming phenomenon and CQ2 was responsible for all the marketing and promotion of this unique all-weather activity for children of all ages. The agency’s work covered press and outdoor advertising, web splash page, e-shots, banners and printed promotional material. 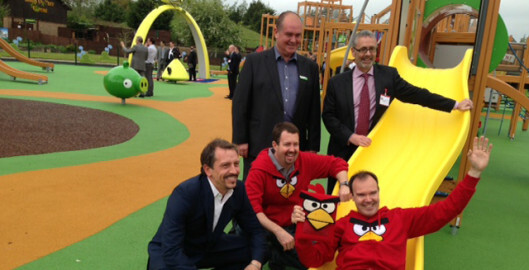 Those attending included James Beresford, CEO of VisitEngland; Chris Jones, Managing Director Lappset UK; Peter Vesterbacka, Commercial Marketing Officer and Dan Mitchell, Director of Physical Entertainment for Rovio Entertainment Ltd; Allan Leech, CEO of Heritage GB PLC; Janine Ross, Lightwater Valley Head of Marketing.